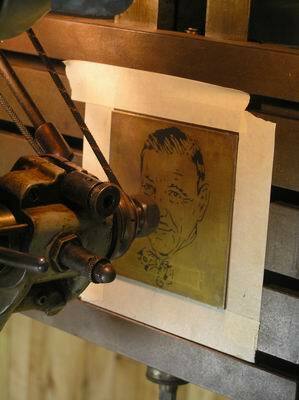 From the early 1930's up to the late 1950's engravings on Zippo lighters were done by using a pantograph. 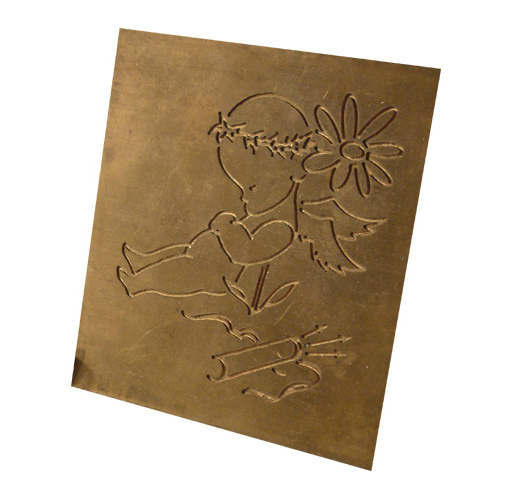 A finger connected to the pantograph followed the template contours and the tool at the top of the pantograph engraved the lighter. 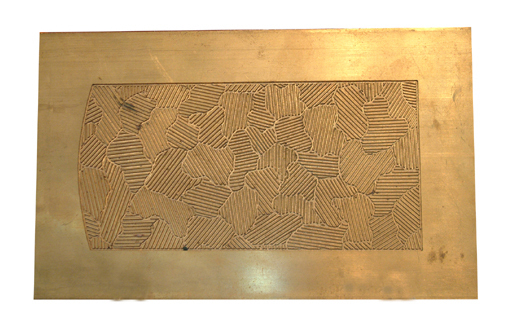 It was possible to engrave the same pattern at different scales. 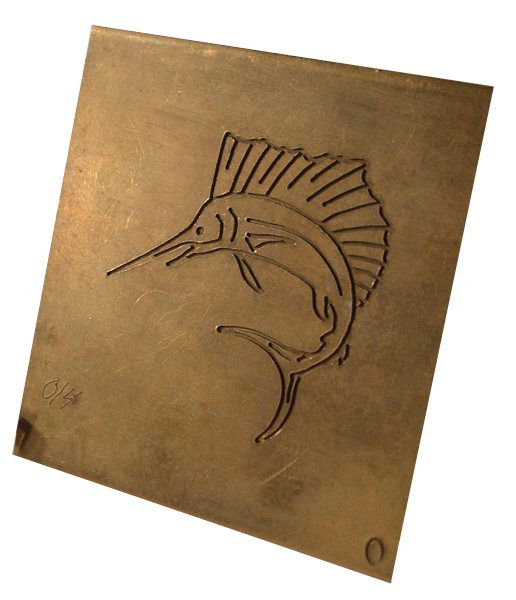 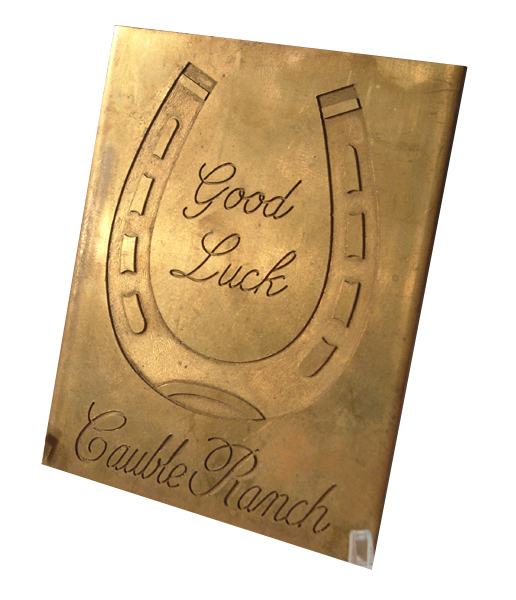 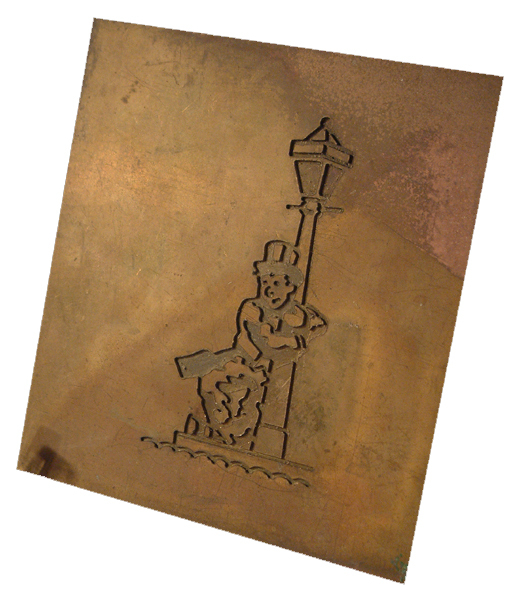 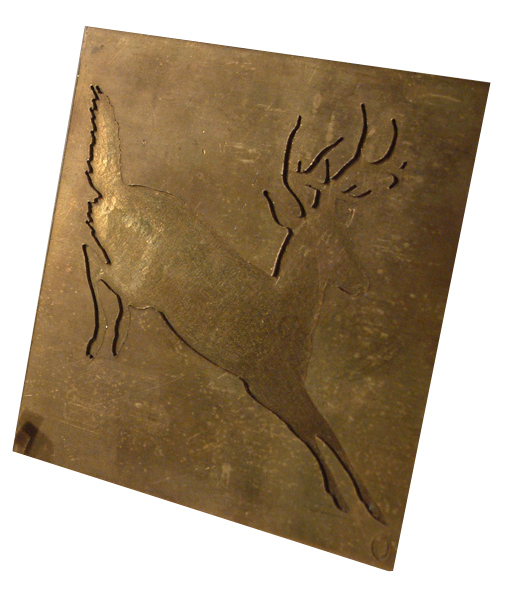 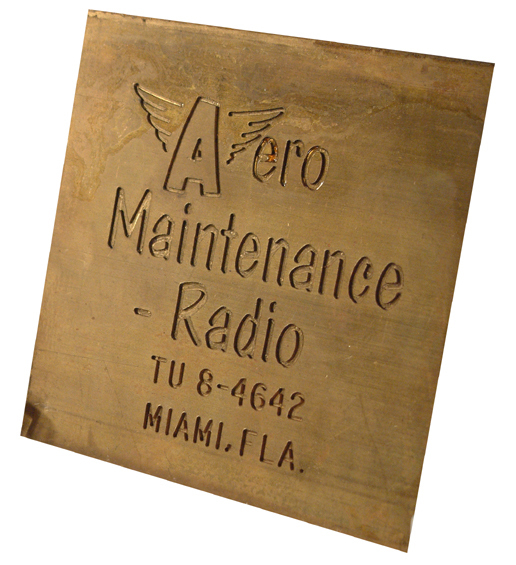 Pantograph plates have a size of 4 x 4 inches and are made of solid brass. 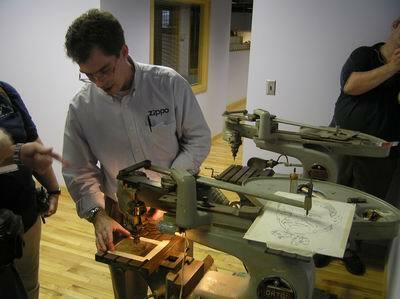 On location at Zippo's Head Office at Barbour Street. 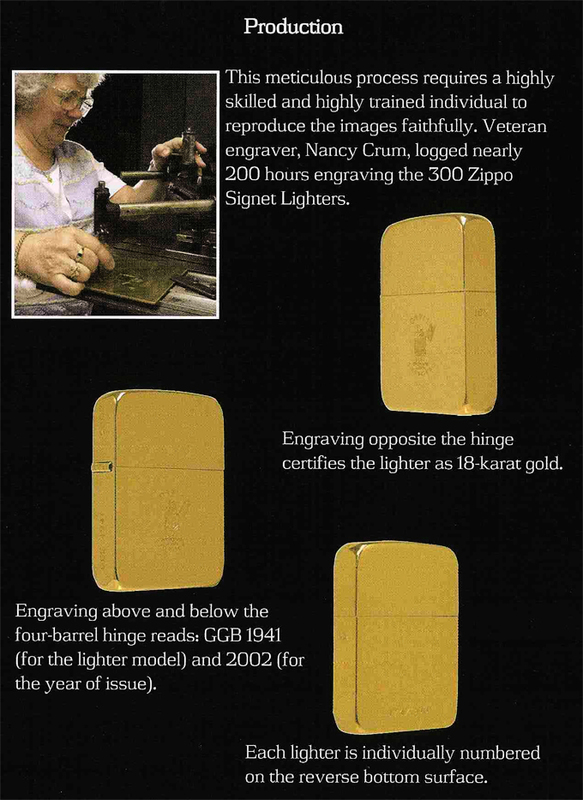 One of Zippo's employees demonstrates how artwork was reduced by a factor of 9,& then reduced by 9 again to get it the right size for a Zippo. 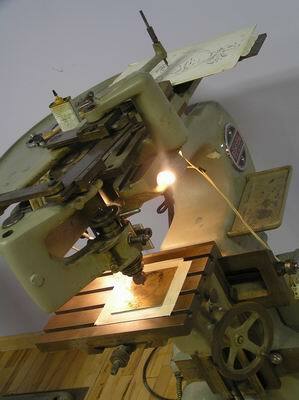 in 2002 the pantograph engraving process was once again used for the production of the Zippo signet lighters.